Committed to social justice and the power of the image to transform opinions, Ed Kashi is a photojournalist, filmmaker and educator, who has spent his career covering a wide array of subjects as diverse as the Protestants in Northern Ireland, climate change and the human consequences of health care in the U.S.
His project “Curse of the Black Gold” looked at the environmental costs of the oil industry on Nigeria. His work, “Aging in America,” was an eight-year project that followed the consequential impact of a suddenly aging population. Since 2002, Kashi has partnered with his wife, the writer and filmmaker Julie Winokur, through their nonprofit Talking Eyes Media, which uses powerful storytelling to “stimulate public dialogue & advocate for positive social change.” Together, they have produced vital multimedia projects, using film, exhibitions, and books to present projects exploring contemporary social issues. Kashi is also a member of the VII Photo Agency, a photo cooperative dedicated to covering important news events and developing multimedia series drawing attention to conflicts and injustice throughout the world. 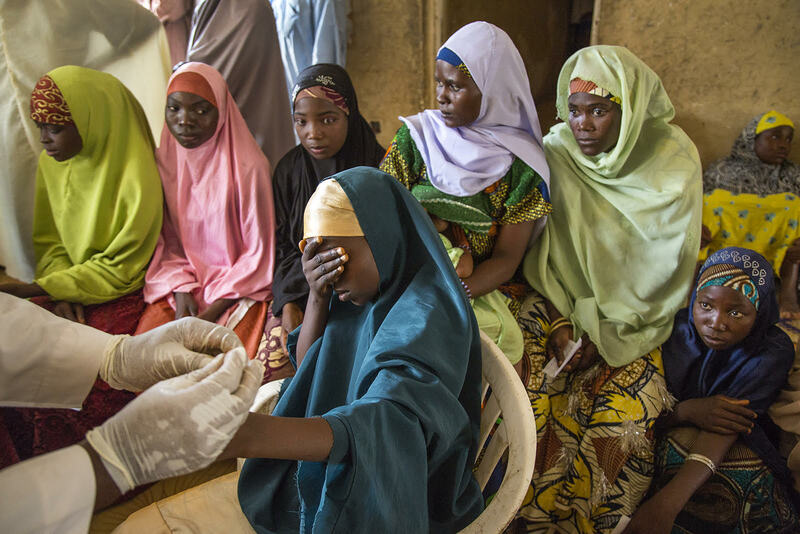 His honors include Pictures of the Year International Multimedia Photographer of the Year 2015, UNICEF’s Photo of the Year 2010, a Prix Pictet 2010 Commission and honors from World Press Photo, Communication Arts and American Photography. 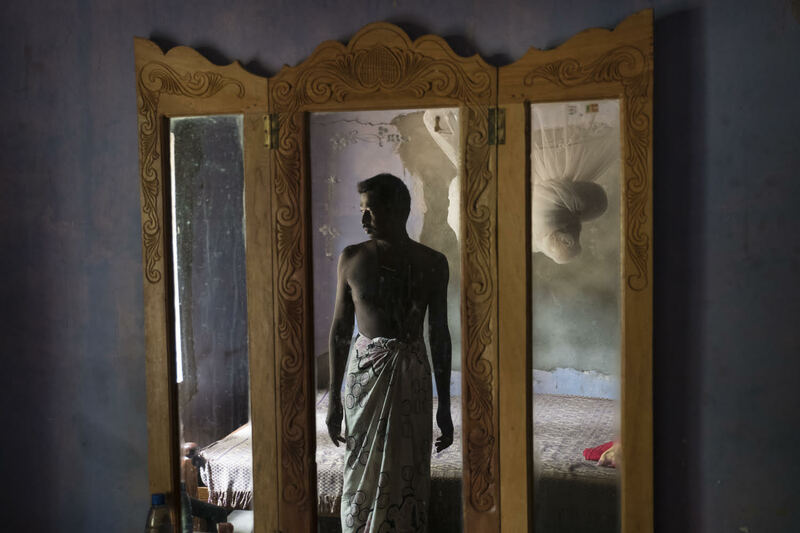 In this interview, Kashi discusses his work and his views of social documentary storytelling as a preview for his presentation at the Focus on the Story International Photo Festival. 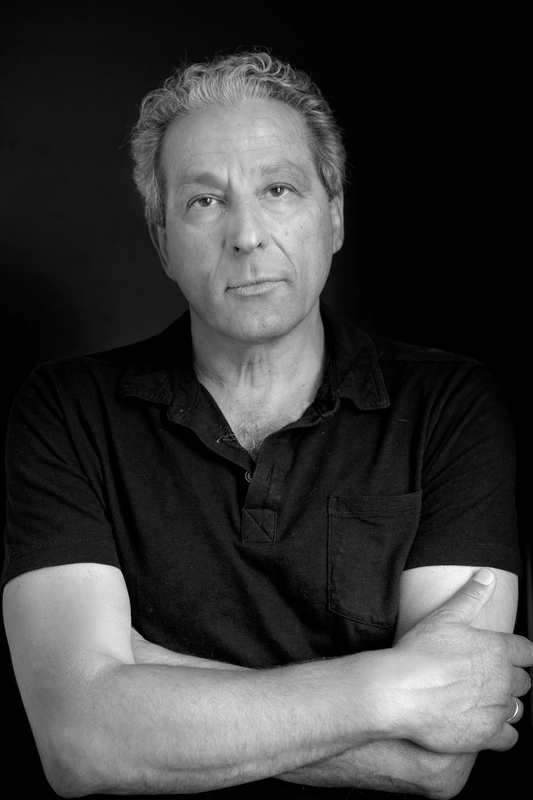 Ed Kashi will talk about using visual storytelling for advocacy at the Focus on the Story International Photo Festival. At the Kano State Hisbah Commission offices, women and men come to be screened for HIV, pregnancy and other sexually transmitted diseases, in the hopes of taking part in a mass wedding ceremony. Mike Lee: What inspired you to become a multimedia journalist? Could you give us insight about how you mesh the various technical and artistic aspects of a project? Ed Kashi: I started experimenting with video in 2000, in the midst of my project on aging in America. I had wanted to integrate the voices of my subjects into my black and white photographs. From there, my interest grew dramatically, as I realized the potential for visual storytelling, the power of multimedia and now short documentary films to communicate, be creative, develop authorship and narratives. At this point my filmmaking takes different directions, from experimental works to linear narrative storytelling. I’ve found this form to be liberating, empowering and highly impactful, and well suited to exploit the multiple digital platforms that exist today to reach a global audience. Lee: What do you believe must first be shed when starting a project? Kashi: My preconceptions about an issue and expectations of what I can expect to capture. It’s critical to keep an open heart and open mind, as well as remain flexible and ready to change directions and react to what you actual see and witness on the ground. 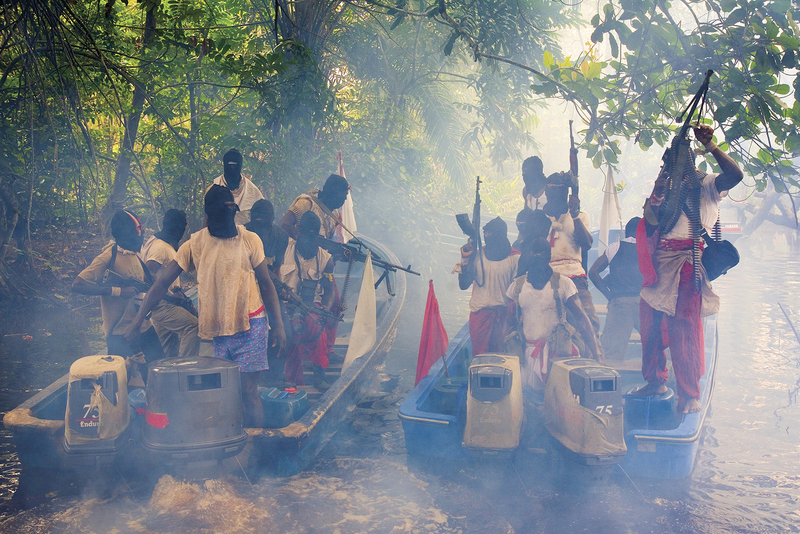 Armed militants with MEND (Movement for the Emancipation of the Niger Delta) make a show of arms in support of their fallen comrades deep in the swamps of Oporoza, Niger Delta on September 2, 2006. Lee: In your experience, what is the most effective means to tell a story? In presenting work in advocating a cause, calling attention to an injustice, or speaking for the voiceless and ignored, what must you avoid? Kashi: The most effective way to tell a story varies upon the story, but also the vision and strategy that I am inspired to use. There are some stories that call for still photography only, others with the addition of merely audio, and then others that are best suited for full video treatments. As time goes on, I’m less interested in integrating stills and video into the same piece, unless it’s a more experimental piece, or the story calls for archival materials to help tell the story. In doing advocacy work, it’s important to not proselytize for your point of view and I will never manipulate, exaggerate or purposely dramatize a situation. I try to rely on the reality I witness and capture the real emotion, drama and injustice that exists but utilizing the visual language of photography or video. My work is predicated on accuracy and diligent research and reporting. 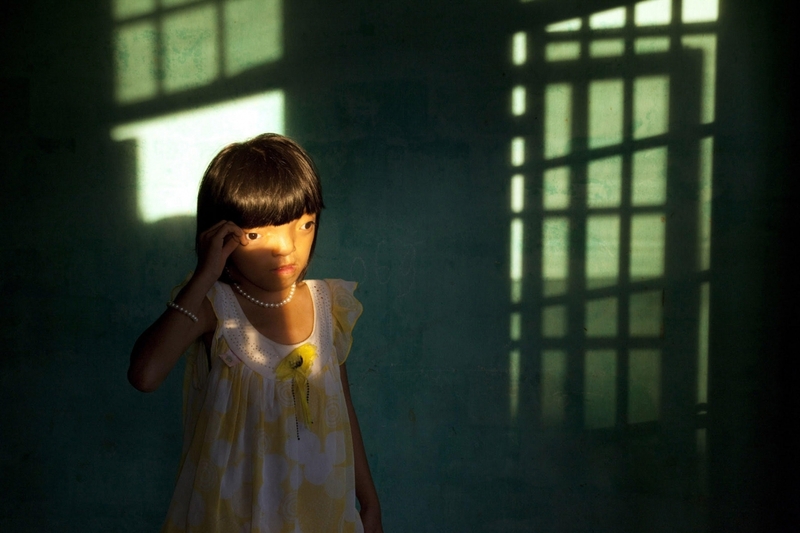 Nguyen Thi Ly, 9, who suffers from Agent Orange disabilities, in her home in Ngu Hanh Son district of Da Nang, Vietnam on July 9, 2010. K. Bandulawarna, 37, poses for a portrait at home in Nelumvila Billewa, Sri Lanka. He was a farmer from the age of 18-25, and then became a Civil Security Department guard during the civil war. Now he suffers from end stage CKDu, must have dialysis every 3 days, and is dependent on his pension to support his wife and two children. Lee: You brought up the negative aspects of the distribution of information in the recent past. Given the increasing backlash against social media platforms for its abuse of algorithms and less subtle forms of censorship, what suggestions do you have for independent multimedia journalists to follow in order to get work out to the public? Kashi: This is a tough question at the moment. If you do not have access to the channels of major media and you do not have a developed audience for your social media platforms, it’s quite difficult to reach a broad audience. But I’m a firm believer that quality and relevance is the starting point from which you can have impact. In the same way the algorithms play us, we can play them if we’re smart. Everything starts with a great idea, perseverance, dedication, commitment and a sincere desire to create the work. One must find the right balance between using social media and validating your work through grants, publications, working with respected organizations. If you’re inspired and inventive, you can also utilize social media to your advantage. Lee: In your career, you have taken on an educator’s role. Also, you have mentored other photographers. What do you stress when working with others? Kashi: Teaching and mentoring people who truly want to learn is a pleasure. The stress is only when I feel I can’t help someone or their attitude is not what I would consider serious. All images © Ed Kashi. You can see more of his work on his website. Mike Lee is a photographer, labor editor, journalist and writer based in New York. His photography was featured in several group shows in the last several years. His short fiction is published in a myriad of journals, including The Avenue, The Ampersand Review, Reservoir, Ghost Parachute and The Airgonaut. You can see more of his work on his website.